Is the home inspection different than the appraisal? What does a home inspection generally not cover? What questions should I ask the home inspector? A home inspection can provide you with critical information that can impact your buying decision. Read this useful guide on what a home inspection is, what to expect and how to prepare for one. A home inspection is a non-invasive, physical examination of the visible and accessible areas of the home and its components and systems designed to identify material defects. After conducting the inspection, your inspector will prepare a report detailing his observations, noting items that need replacement, repair or maintenance and estimating the remaining useful life of the major systems. The purchase of a home is probably the largest single investment you will ever make. You need an independent and objective analysis of the condition of the home and its components and systems in order to make an informed decision whether to move forward with the purchase during your contingency period. A home inspection may reveal significant defects or recommend further testing from a specialist that may impact your decision to buy. The home inspection will provide you with critical information that you absolutely need before proceeding with the purchase and is well worth its cost and your time and effort. 3. Is the home inspection different from the appraisal? A home inspection is different than an appraisal. A home inspection will provide you with an unbiased and detailed evaluation of the overall condition of the home and its various components. The purpose of the appraisal is to provide your lender with information about the current market value of the home. While the condition of the home will impact the appraiser's assessment of its market value and although the appraiser may note some obvious defects or needed repairs, the appraiser will not perform a comprehensive evaluation of the condition of the home or its components. This is what the home inspection is for. 4. When should I schedule the home inspection? You should schedule the home inspection as early as possible after escrow is opened to give you sufficient time before your contingency period has expired to review the home inspection report and conduct additional inspections that the inspector may have recommended. Depending on the size and age of the home and other factors, a home inspection may cost between $250 to $500. You should hire the most competent home inspector and not be influenced by the price of the inspection. A higher cost may not necessarily mean higher quality. At the same time, if the most competent inspector is more expensive, you should not hesitate to engage his services. Considering the value of your investment, this additional cost will be money well spent. A home inspection should take between two to three hours. Anything less would not give the inspector sufficient time to do a thorough evaluation. 7. What does a home inspection generally not cover? Buyers often have misconceptions as to what a home inspection is and what it will cover. The home inspection is intended to be general. Your home inspector is a generalist. He will recommend further inspection or testing from a specialist should he observe any conditions that may warrant further inspection or testing. For instance, if there are major cracks in your driveway or in the interior of the home, he may refer you to a structural engineer who can better advise you on what these cracks could signify and what additional testing is needed. If he observes defects in the roof, he may refer you to a roofer who can provide you with a more comprehensive analysis of the condition of the roof. A home inspection is visual in nature and is not intended t be exhaustive, intrusive or invasive in that the home inspector will not disassemble any components to determine whether they are functioning properly and will not remove any floor or wall coverings to determine whether there are any problems. 8. Should I attend my home inspection? You should attend your home inspection. It is well worth your time. Your inspector can provide you with valuable information about your prospective home. By attending your home inspection, you will have an opportunity to interact directly with your inspector as the inspection takes place and ask follow up questions as the inspector points out needed repairs or areas of concern. The inspector can also give you a detailed orientation of your home by showing your where some important components and systems such as the gas shut-off valve and water meter are located, how they work and how they should be maintained. The home inspection will probably be your best opportunity to educate yourself about your prospective home before the close of escrow and you should take full advantage of this opportunity by attending the inspection and asking questions. 9. What questions should I ask the home inspector? What will the home inspection cover and what will it not cover? Will the inspection and report conform to the standards and practices of the California Real Estate Inspection Association or other professional trade association and the California Business and Professions Code? 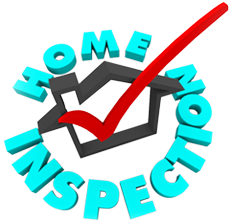 Will the inspector provide you with a sample home inspection report? This will give you a clear idea as to what information will be conveyed to you in the report. What is the inspector's experience with residential inspections? In California, home inspectors are not required to be licensed. How long will the home inspection take? Anything less than 2 to 3 hours may not be sufficient to perform a comprehensive evaluation of the home and its systems and components. How long after the inspection will you receive the inspection report? A report is usually generated within 24 hours. Will the inspector offer to perform any of the repairs? This may compromise his objectivity and in California, home inspectors are prohibited from performing any repair work on a home they have inspected within the prior 12 months.